The Open Space and Trails Plan is in draft form and we need your help! Do you love the trails around Canmore? 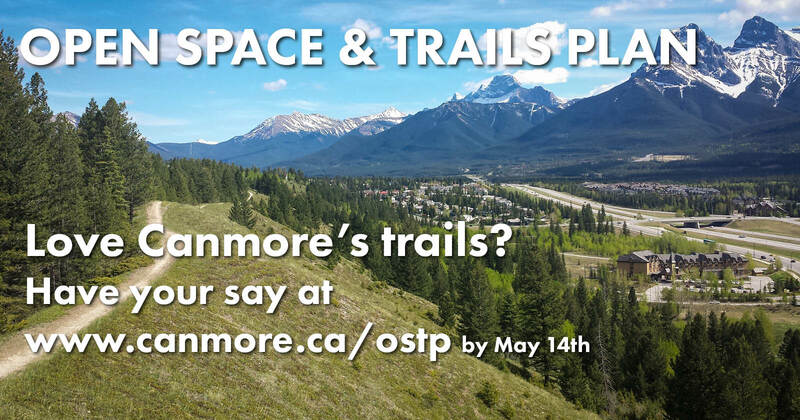 The Open Space and Trails Plan guides the planning of the trails and paths in Canmore (as well as parks, playgrounds, off leash parks, and other open spaces). It’s currently in draft form, and we’re looking for your input. Go to www.canmore.ca/ostp to check out the recommendations for specific areas – or read the whole document if you’d like! Click on any of the thumbnails for the recommendation summaries and then provide your comments in the box at the bottom of each page of via email to planning@canmore.ca. If anything doesn’t make sense, or you want to know why it’s being proposed, just ask. The more feedback we get, the better – and we’d love to hear from those of you out there who have opinions, but don’t usually get around to sharing them. Some things listed are already planned, others are distant dreams – but may become less distant if there’s a lot of community enthusiasm for them! Feedback is due by May 14th, and the plan will be presented to Council on June 2nd. Then it can be used to guide departmental focus, budget requests and new development. What have we missed, and why is it important to you? What do or don’t you like about the existing recommendations? Is there a way we could help make your commute to school or work perfect? Is there a singletrack loop you’ve been dreaming of? Do you think any of the suggested ideas are awesome and you really want to see them happen? Let us know!